If you've decided NOT to order the Gold Version, you can order the Standard Version now for just $29.97 using the button below. 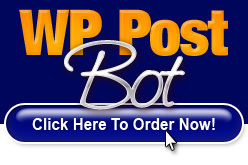 Requirements: Blogs must be WordPress blogs on your own web hosting (i.e. NOT on wordpress.com). Ideally you should be using the latest version of Wordpress, but the plugins should work with any version of WordPress from 2.8 onwards. The tools that create the plugins require a PC running Microsoft Windows (any version). 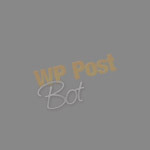 Support For WordPress Multisite: WordPress Multisite is and advanced WordPress feature that allows a single installation of WordPress to operate multiple blogs. This software supports Multisite as long as each blog is on a different domain or subdomain (which is the normal use of Multisite). Earnings Disclaimer: Although auto posting content can be an effective form of income generation and can boost search engine rankings, the results are dependent on many factors outside our control, including the blog content, blog design and articles used. We are not therefore able to give any guarantees about the search engine position or income that you will attain by using this software - or even give any assurances that you will earn anything at all. We will however refund your money in full in the unlikely event that you are unhappy with your purchase. This software is for your personal use only and does not carry any form of resale rights.